Q: I’m trying to stage an empty house. I have enough furniture and it’s looking good. My question is what do I do in the closets? A: I would leave closets empty because they look bigger. But not entirely empty. I would add a few props to dress them up and give a little personality. 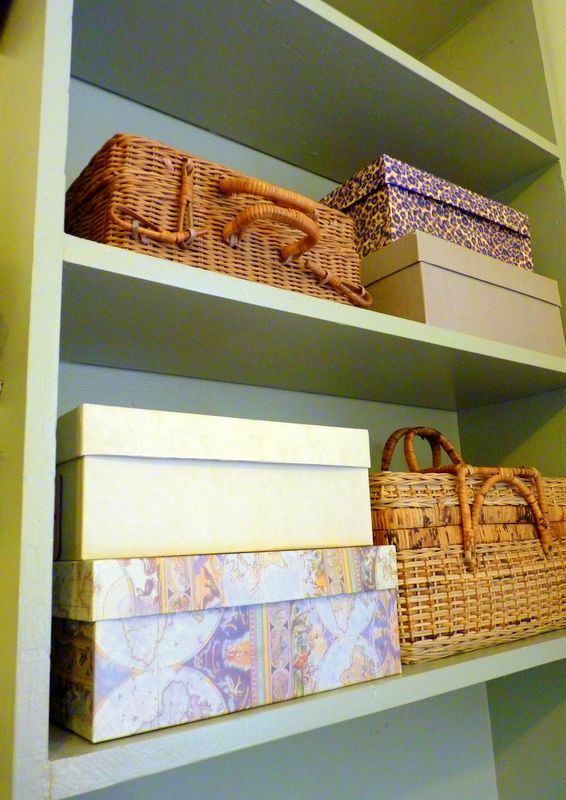 In a bedroom closet I would place some pretty boxes on the shelves. In a linen closet I would stack a few fluffy towels, and perhaps a folded blanket. In a coat closet, I would add some wooden or padded hangers. These little things will help buyers on tour remember your house as the one with attractive closets, where people (that's you!) live clean, enviable lives. Buyers buy the lifestyle when they buy the house, and women particularly are interested in closets. So, stage them to look gal-friendly. Remember to clean any light fixtures in the closets and to maximize the wattage. Q: We’re planning to sell our home in a year. I know there are things I should be doing now, but I don’t know where to start. Any advice? A: Start by getting rid of things you don’t love or need. 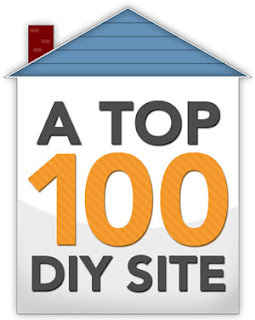 Second, it’s not too early to get a home inspection so you’ll know what needs repairs. Then, educate yourself about the local real estate market and maybe interview some realtors. You should also get current about about decorating trends and what not to do so when you’re ready to stage you’ll be up-to-date. the pricier versions, how can you make them work for staging? 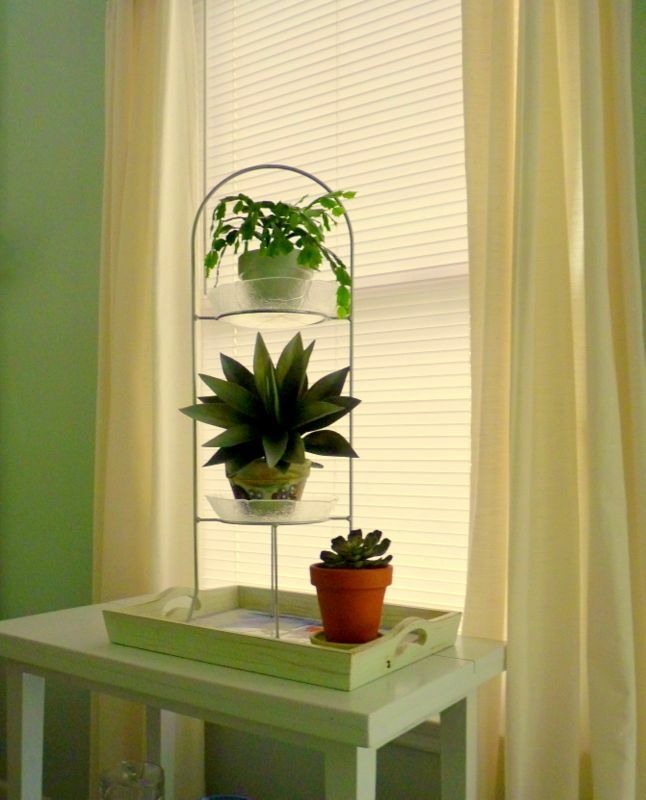 Q: Should I leave mini blinds in my windows when staging? I know they aren’t super-stylish, but I still like them for light control and privacy. A: I’m with you on the mini blinds, because they are inexpensive and functional. You could leave them up but layer a window treatment over them, one that lets you cover them to soften the look. Just sheers might look good, or draperies that you open every day when you want sunlight entering the room. Remember that buyers respond well to bright rooms, so make sure both the blinds and any draperies are open wide when you expect a showing. And if your mini blinds are showing signs of age, replace them with new ones. Q: The rooms on one side of my home are dark, even though they have enough windows. What can I do to make these rooms look brighter? I’ve already done what I can with lamps and overhead lights. A: If the walls aren’t a light color, can you repaint them? Can you add a large mirror to each room? Can you remove lower limbs from trees that might be creating too much shade? Can you make your window treatments cover less of the window opening? Can you remove or paint any dark pieces of furniture that might be soaking up light? the framed art instead of isolating it on a blank wall. Q: I have your eBook so I know that when staging you suggest avoiding artwork with faces in favor of landscapes, abstracts, and still lifes. I have a large painting of my great, great grandmother. I think it looks cool. Should I store it away when I list my house? A: I agree, ancestral portraits are cool! 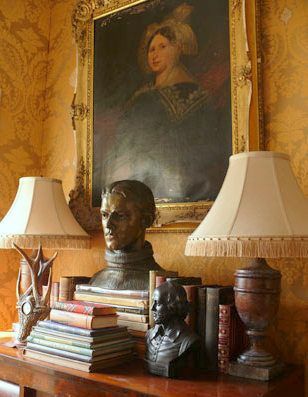 Even ones that aren’t your own relatives add a certain dignity or importance to a room. I’d definitely leave it in place, as long as it isn’t the focal point of the room. How about somewhere unexpected, like in a hallway, bedroom, or on a stairwell? That said, some old portraits look a little creepy or just too engaging to be used in a staged room. If your ancestor appears sad, mad, or stares out of the canvas in such a way that makes visitors talk about the art rather than your house, store the painting. I hope your great, great grandmother brings you good luck selling your home! Any Questions? 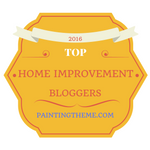 Do you have any problems about your DIY home staging? If my eBooks don't solve them, email me your question and I'll try to solve your home staging dilemma.